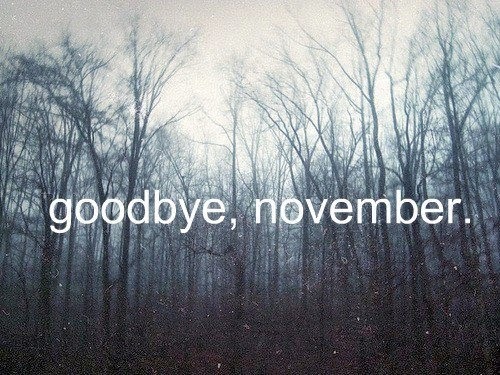 November is coming to an end. I can't believe it's only been last year that we planned on getting our marriage done. Now that it's done, all I can say is that I am grateful flesh and bones that we got through everything together even though there are times I totally lost it all. Life can be unpredictable. Things might not be right, things could get wrong but always, always put your head up and stay strong. Sometimes I wish things could end the other way around but, what's done is done. There is no right or wrong if it's God who arrange the path for you. Sounds gloomy for an intro but Hey! I've bypassed our wedding. I can now go back to the old track and field! Marriage is a whole lot of drama. If I can go back time, I wouldn't want to go through marriage again. So, by all means, I'd rather stay in the present and hope for the future. Work resume the same at the office. For those who assumed, I didn't take a long break actually. I went to work after the wedding. Don't mind the face. I always have unexplainable face reaction. Plus, I was sober and I was having a bad hair day, hence the beanie. I still live 2 hours away from the spouse. Mum kept reminding everyone that and making it look like I'm in a very sad situation. That I've only been married but still living like the way it used to be. Oh gosh! I have no trouble driving up to Ranau though but I feel that I can manage here all by myself. That sounded pathetic. I need bigger space though. Obviously a girl can't have enough clothes. Having the spouse over can be pretty congested sometimes because we do not own a very large space. My room is not enough for both of us actually. The only decent movie I've watched this month was Catching Fire. Probably the only movie I've actually been to this year. Not a big fan of large crowd. The guy sitting next to the spouse was like a football commentator all the way and was seducing the girlfriend. Guys please, if you're watching a movie at the cinema, act like so. If you're there to shower your partner with your words, then go grab a popcorn and watch movie at home instead. Everyone pays for the tickets too. ... and please, if it's PG13, don't bother bringing your kids/nephew/niece anyone below the appropriate age just to call them to close their eyes during the kissing scenes. If you want to act responsible, do so by NOT bringing them to the cinema. Other people won't drool over your protective act in the cinema. They just want to fart on your face and tell you to shut up. Wait for the DVD or they probably be up on Astro anytime soon. Buy that instead. Also, please slow down on the perfume. Gosh! How much do you need actually? I feel like I'm breathing chemicals. I can't think of any other way to explain November because our wedding had been in every month's agenda. I don't think it is necessary to repeat the same old wedding thingy. Will find away to blog nicer stuffs soon. I have to agreed on the cinema thing-y esp that kids part. I never understand their parent, its clearly stated PG13 (assuming they know if a certain movie is rated tht means there will be some kissing etc scene) yet they brought their kids to watch and ended up asking them to close their eyes noisily. -.-"